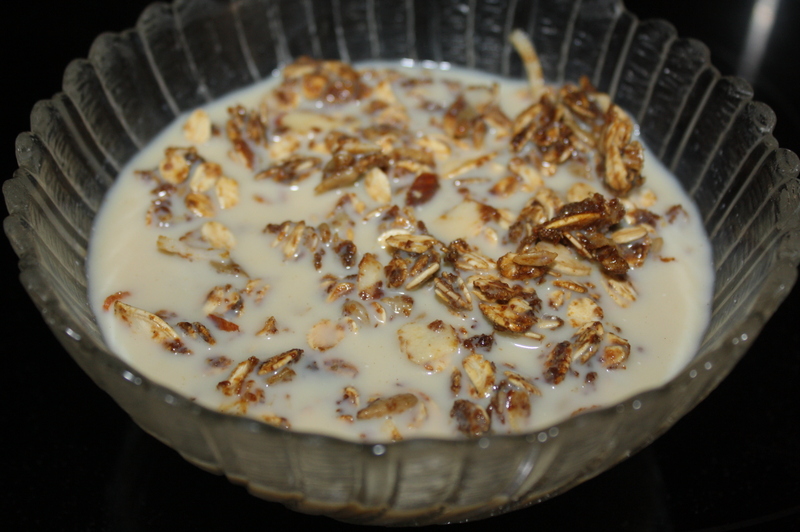 Granola pg. 113 Great way to start my day! 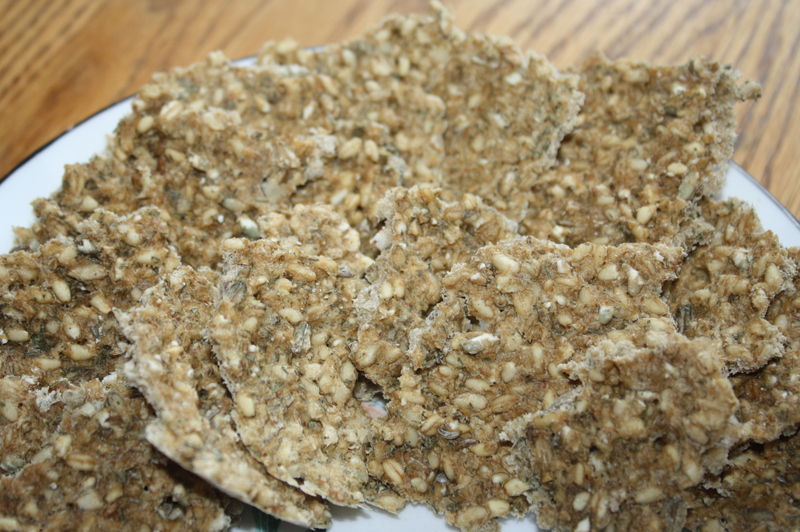 I loved all of the almonds, coconut, and sunflower seeds. 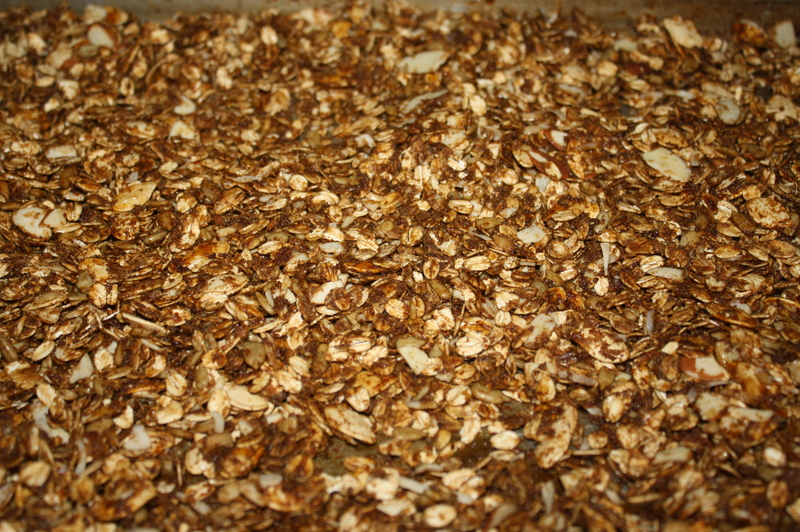 Normally I just make granola with just oats and flavorings but I really liked all of the additions. Soak grain in water overnight. Next morning blend in blender until a creamy consistency is reached. You may need to add more water (should be about 1 c. of grain to 1 c. of liquid.) Add spices and blend long enough to mix well. Pour a thin layer onto solid plastic dehydrator trays. (Do not use trays lined with plastic wrap, wax paper, or aluminum foil.) Dehydrate 10-12 hours at 105 degrees. The longer they dry the more crispy they become. When dry, break apart and put into tightly covered container.